It's easy to learn chemistry. Mr. Science Teacher ® provides a simple solution for anyone wanting help in understanding chemistry. I Want To Help You Excel! Mr. Science Teacher is pleased to announce "The Language of Chemistry". Chemistry is usually a complicated subject for anyone. Mr. Science Teacher is proud to be a resource for those who want to learn a new language. Forget the frustration, the countless hours of homework, and the lost efforts on exams. Relax. We’re going to climb mountains. The goal is to attain success and this is the day to do it. With about ten minutes of effort, anyone will be able to write and name the correct formula for thousands of chemical compounds without knowing any chemistry. The key to the language of chemistry is simply adding and subtracting numbers to get to zero. 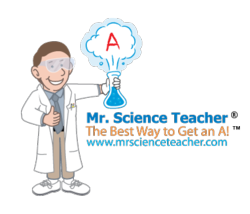 Mr. Science Teacher ® has made understanding Chemistry simple, by first downloading Mr. Science Teacher’s Periodical Table of Ions and then watch a short YouTube video. It’s all free. It's amazing at how easy naming chemical compounds is about to get. Download Mr. Science Teacher’s Periodic Table and watch the video today.